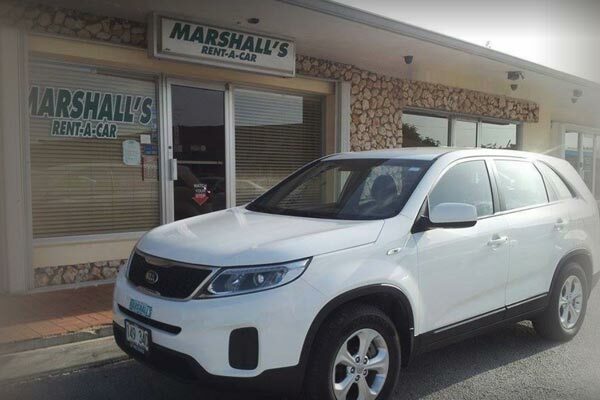 Marshall’s Rent-A-Car provides dependable, courteous service and reasonable rates, and we will help to make your stay in the Cayman Islands an enjoyable one. All of our vehicles are air conditioned for your comfort, and are kept clean and well maintained. The minimum driving age is 23. A valid driver’s license and credit card is required when renting. We are conveniently located across the street from the International Airport in the Rental Plaza on Grand Cayman. You receive Unlimited mileage and a 10% discount off for direct Internet Bookings (inquire about black out dates, Christmas & Easter. Discounts can not be combined).